Keeping your worktops in the best possible condition requires regular maintenance. Containing a special blend of oil, our exclusive Danish oil 5L is a natural wood treatment that will keep your solid wood kitchen worktops in prime condition. Apply it to your worktop to not only maintain its water and heat resistance but also its smooth and soft-sheen finish. We recommend applying this kitchen worktop oil at a rate of 1L per 3 metres - this 5L tin contains enough for 15 metres of worktops. 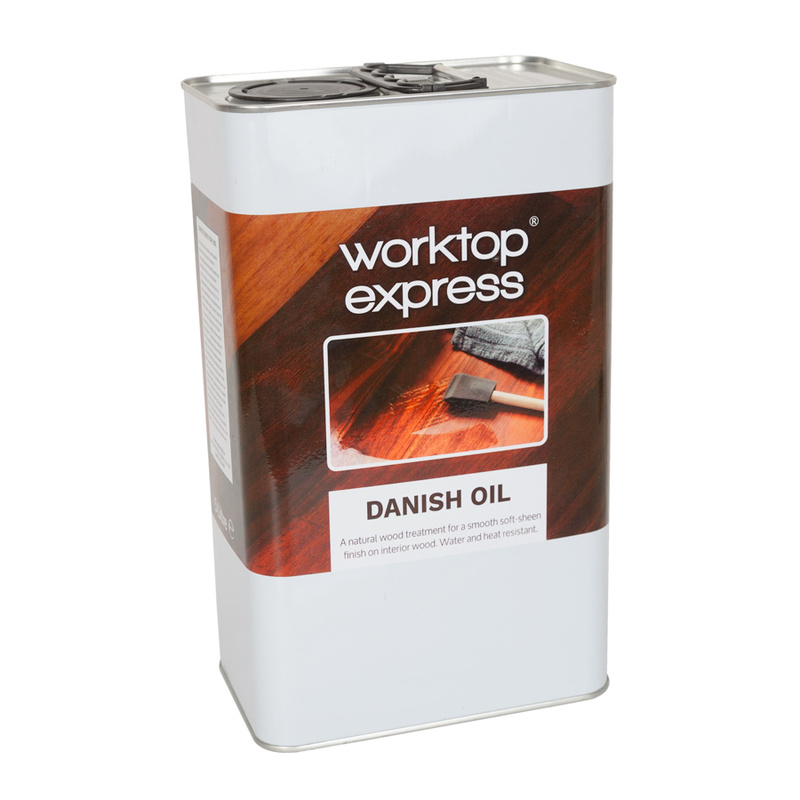 Whether used before installation or during your regular maintenance regime, apply the Danish oil liberally over the surface of your wooden worktop using a clean, lint-free cloth before wiping away any surplus. After 3 - 4 hours your worktop should be dry and then, if necessary, you can apply a second coat.